When it comes to wealth and financial inequality, Myanmar is no different from the rest of the world. The few rich seem to be getting richer, and the many poor seem to be getting poorer. The best opportunity for some locals may be to beg for money at popular tourist sites. As a traveler by trade, I’ve had plenty of interactions with beggars throughout the world. To be honest, I haven’t cared much about beggars in the past. I especially don’t like beggars who expect me to give them money just because they have a baby. Do something. Sell me something. Don’t just flash a baby in my face. 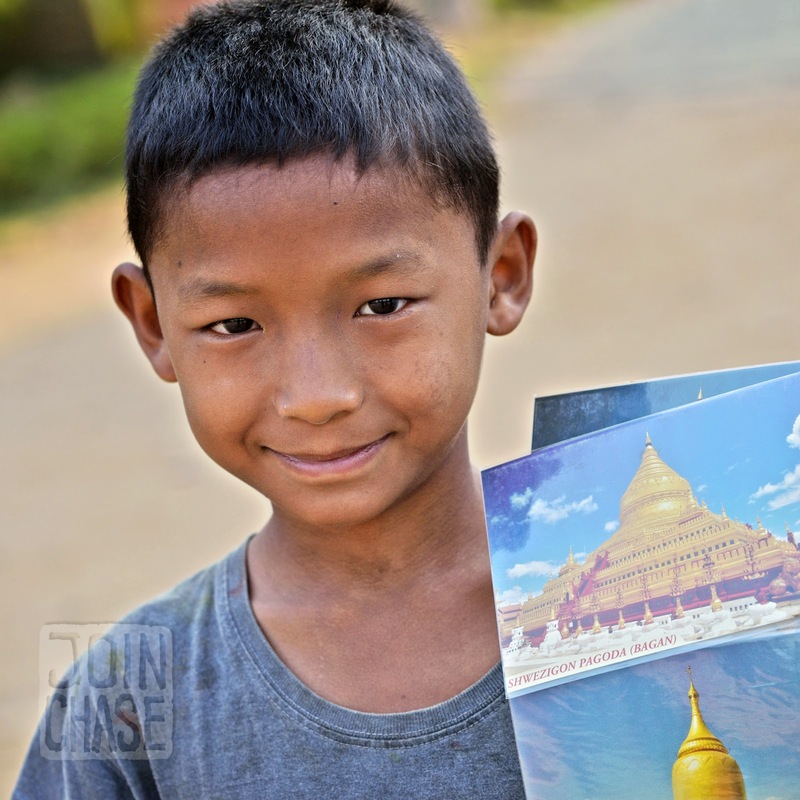 Be more like Thaw Zin Sat, a boy I recently met in Bagan, Myanmar. He changed my perspective on begging and those who beg. Forever. Bagan, Myanmar, is one of the most famous destinations in the country. It’s known as “The Ancient City of Myanmar”, a place where visitors can see layer upon layer of thousands of pagodas. New Bagan starkly contrasts the old; however, with its somewhat fancy hotels and restaurants. Surprised by his ability to speak English, I laughed and answered, “Okay!” Not thinking anything of it. Sure enough he came back the next morning. Just like he said he would with those postcards in hand. “Uncle, Uncle!” he shouted before hopping off the back of his friend’s bicycle. I was just about to board a bus. I couldn’t resist this time. I bought the postcards, and chatted with him before getting on the bus. He was able to answer all my questions in English! I was so impressed. Postcards bought in Bagan, Myanmar. Some already had writing on them. I couldn’t stop thinking about Thaw Zin Sat on the way back to Yangon. Thinking about what will come of him. Do children like Thaw Zin Sat even have a chance? Will he always be in poverty? I wish I could do something more. 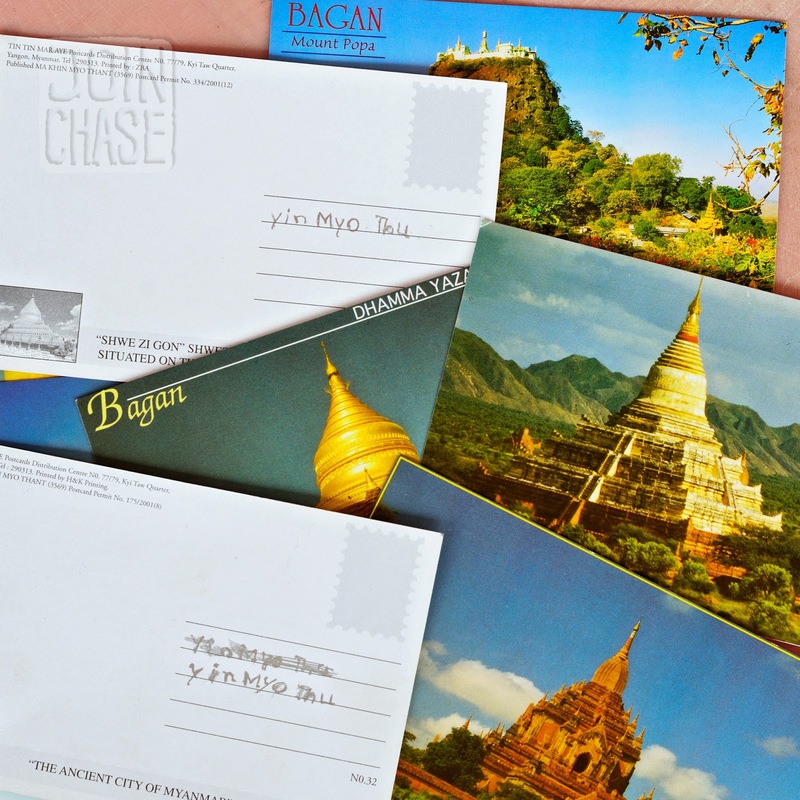 More than paying 50 cents for postcards I didn’t even want. Some of which even had writing on them (so cute). I’m literally witnessing a country develop. Highways are being built by hand. Credit card machines are being used for the first time. Hotels and condos are popping up all over the place. How different Myanmar will be in ten, even five years is beyond me. One thing is for sure, though. Begging will likely pick up in places like Bagan. The potential Myanmar has in phenomenal. But, those who’ll likely benefit from it aren’t people like Thaw Zin Sat. I need to remind myself of that. I need to remember him the next time someone begs with something to sell. Pleading for me to buy whatever it is they may have. Be it snacks, knickknacks or postcards. They’re not just holding out a hand (or a baby) for money. They’re trying to make a living with what they have to offer. Thanks for reading, Tun Tun Aung! I'm excited to go back to Bagan during the water festival next week. I'm going to look for Thaw Zin Sat. I hope to see him again.